The costs of breast implant cosmetic surgery can vary from one practice to another as well as from one patient to another at the same practice. The overall cost may depend on the location of the practice, the fee charged by the plastic surgeon, the costs of the operating room and anesthesia, the choice of breast implants, and other related expenses involved in a typical plastic surgery procedure. As an experienced cosmetic surgeon, Dr. Brian J. Parker discusses various aspects of breast implant surgery with the patients during the initial consultation, including the cost aspects. Patients in Las Vegas, NV and surrounding communities have an opportunity to receive this procedure from Dr. Parker. What will be approximate cost of the breast implant surgery? Will the cost include the costs of breast implants, mammograms and other medical tests, post-surgery visits, and surgical bra or other accessories? Will the patient be able to make the payment in parts, or will she have to make the full payment upfront prior to the breast implant plastic surgery? Will the office of the surgeon offer support with regard to insurance and financing? Breast implant procedure is typically performed as an elective surgery for aesthetic reasons. Therefore, the costs are not likely to be covered under health insurance. However, if the plastic surgeon performs the procedure for medical reasons such as breast reconstruction or correction of disproportionate breasts, full or partial costs may be covered by medical insurance. Patients in Las Vegas and nearby areas may discuss the issues of insurance during the initial breast implant consultation with Dr. Parker. The following cost components should be considered while estimating the cost of a breast implant procedure. The fee of the cosmetic surgeon may range between $3,500 and $6,000, depending on the length and complexity of the procedure and the skills and experience of the surgeon. 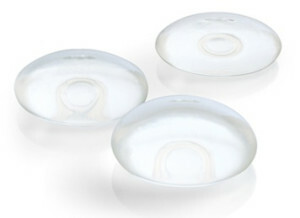 The cost of saline breast implants may be around $1,500, while silicone implants will cost in the range of $2,000 or above. Some of the latest qualities in highly cohesive silicone implants may cost significantly higher. The patient should choose the most appropriate implant type in consultation with the surgeon. Operating room charges along with the anesthesiologist fee may together cost in the range of $2,500 to $4,000. Related expenses such as medical tests, prescription drugs, and surgical bra should also be considered while preparing a cost estimate. The total cost of breast implant surgery, on average, may range from $7,500 to $12,000, depending on various factors. As per the figures released by the American Society of Plastic Surgery (ASPS) for 2013, the average cost of breast implant procedure in the U.S. was $3,678. However, this cost excluded the costs of anesthesia, operating room costs, and other related expenditures.